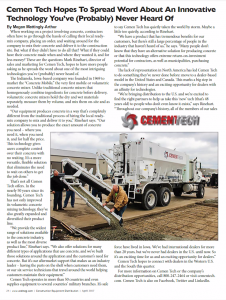 When working on a project involving concrete, contractors often have to go through the hassle of calling their local ready-mix company, placing an order, and waiting around for the company to mix their concrete and deliver it to the construction site. But what if they didn’t have to do all that? What if they could have their concrete made when and where they wanted it, and for less money? 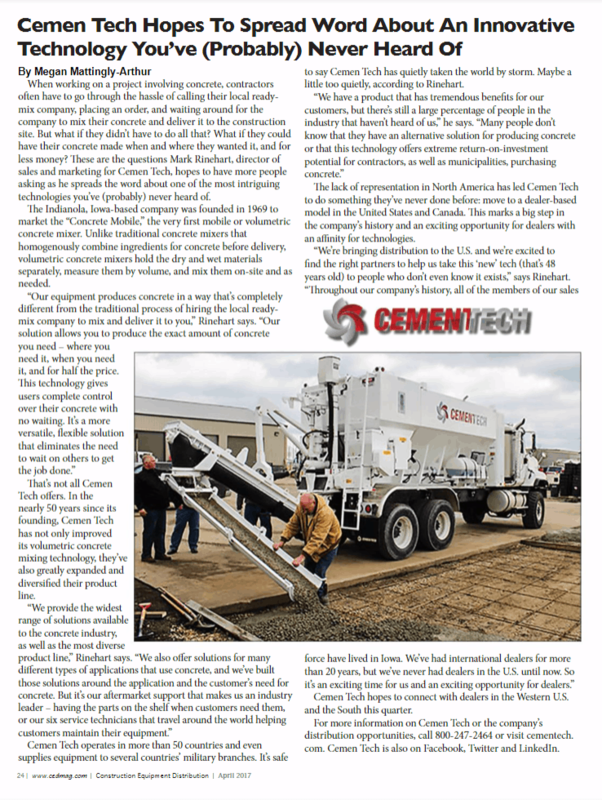 These are the questions Mark Rinehart, director of sales and marketing for Cemen Tech, hopes to have more people asking as he spreads the word about one of the most intriguing technologies you’ve (probably) never heard of.